R.I.P. MY BEAUTIFUL AMAZING PATRICK <3333. . Wallpaper and background images in the Patrick Swayze club tagged: patrick swayze amazing actor always loved r.i.p..
Keyword: patrick, swayze, amazing actor, always loved, r.i.p. 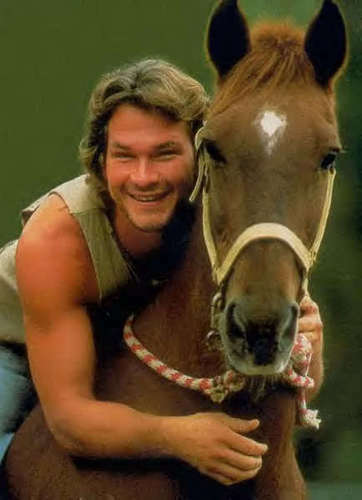 This Patrick Swayze photo contains horse trail, racehorse, race horse, bangtail, and steeplechaser. There might also be horse wrangler, wrangler, dressage, and thoroughbred. I LOOOOOOOOOVE this picture sooo much! Its so beatiful.